Well, it's a party for a tiny bit longer! 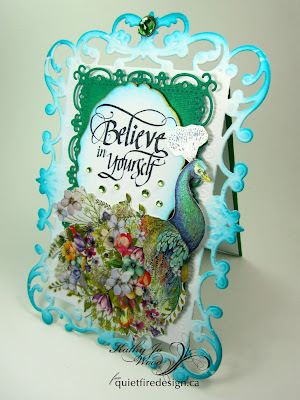 It's Suzanne dropping in here to share a really fun project using the A Way With Words dies for something other than a card! 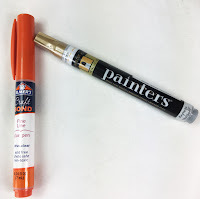 Several years ago when I was attending the Craft and Hobby Association conference, I was chatting with the folks at Elmers and I said I was looking for a fine glue applicator. The fellow ran away and came back with this very cool kit! Included in the kit was this paper mache mask, rhinestones and Elmer's CraftBond Fine Line glue pen and their Painters Gold medium paint marker. 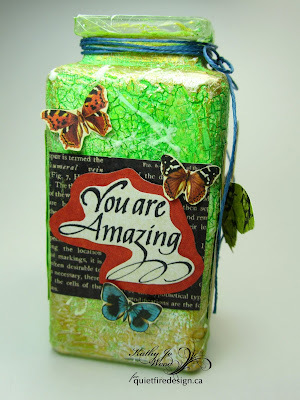 Sometimes it takes me a little time to get a good idea, but I never forgot about my little packet of goodies. Now was the time! The base is Distress Paint and all the highlights were made with the Painter's Gold Pen which worked really well. 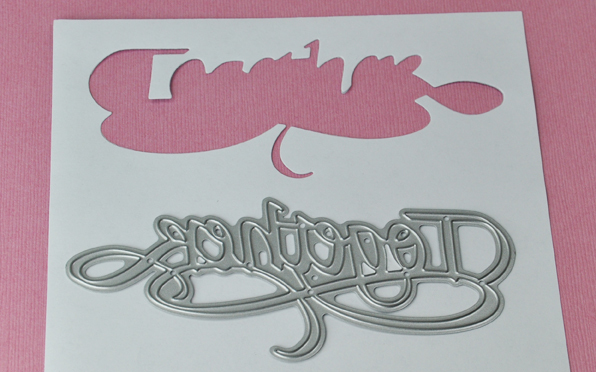 The Fine Line Glue Pen quickly and easily held all the rhinestones in place as well as the diecut It's a Party. Once I got started I could have decorated a dozen of these things. Really fun! 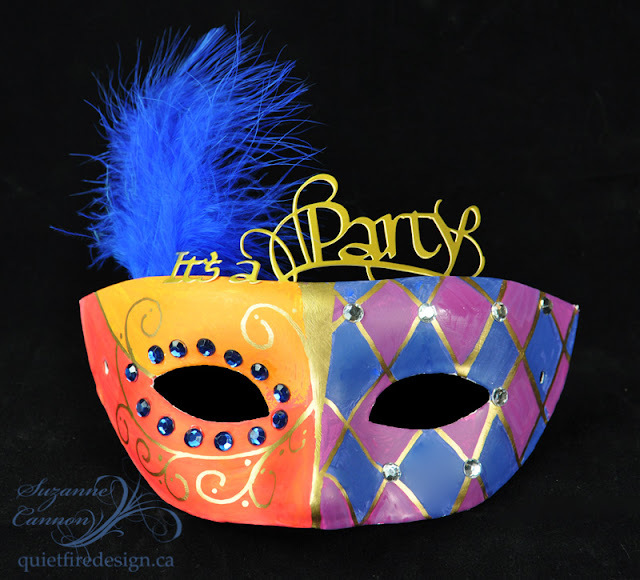 I had a little Mardi Gras on my drafting table! 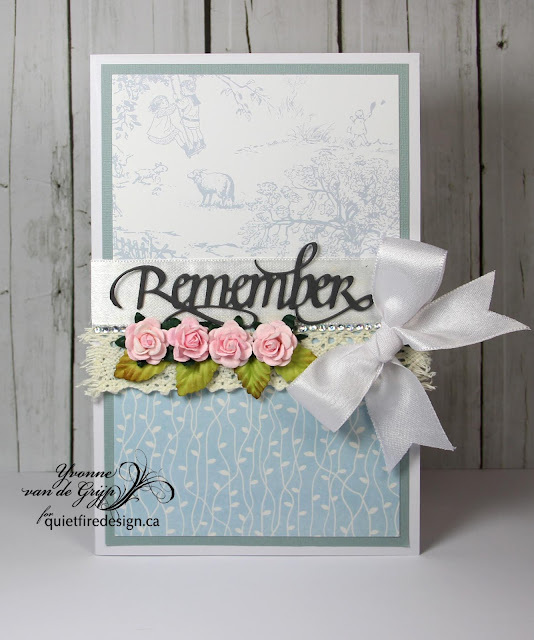 Yvonne here with a card using the Quietfire Design "Remember" cutting die. 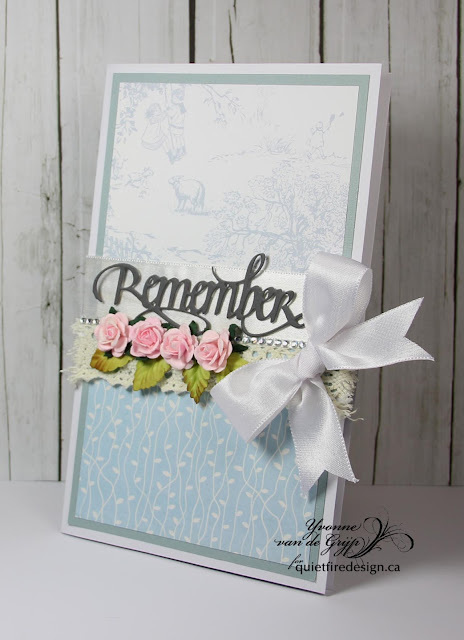 By die-cutting "Remember" it from a contrasting color and not adding too much embellishments you make the sentiment the main focus on your card. Oh- I have used this set so many times...love it! Each stamp is inspirational and gorgeous. A must have for any stamper! Distress Stains in Broken China, Peacock Feathers and Mowed Lawn were applied as shown. 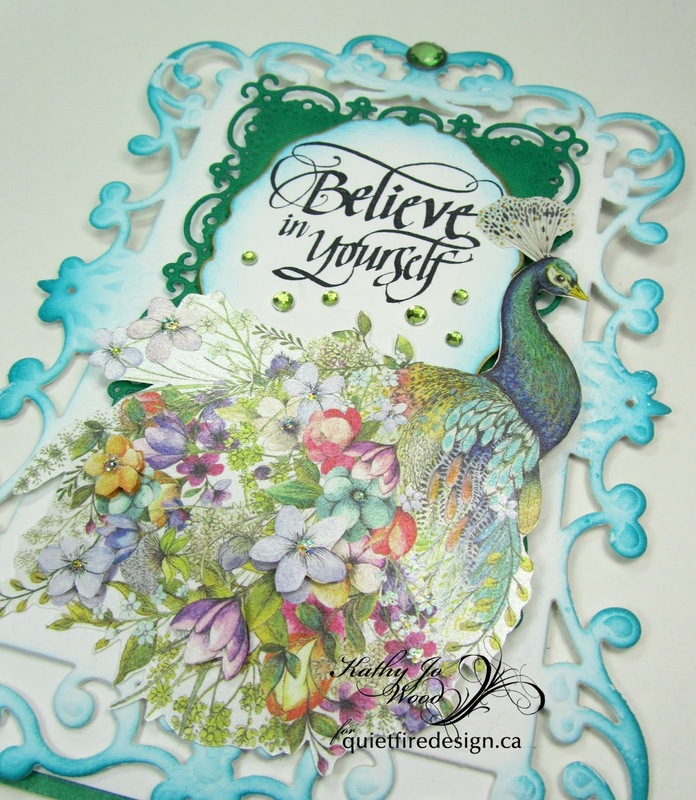 The shimmery peacock was fussy cut from patterned paper (unknown) and adhered. The card would be a great gift for a friend or loved one as daily encouragement or inspiration. Thank you so much for stopping by! Don't forget to check out the sales at Quietfire Design! 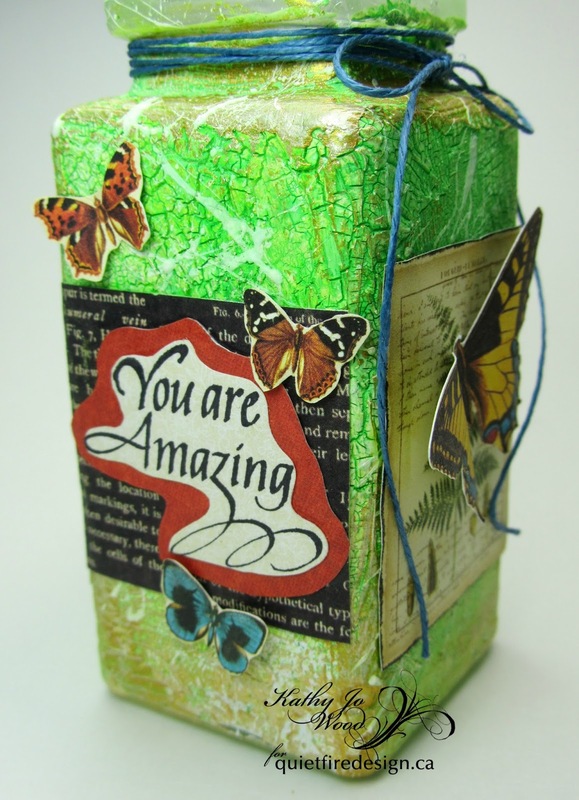 Winners from the Queen of Hearts Blog Hop! Drum roll, please! We have our winners! Congratulations! Winners were randomly selected from the list of comments on each blog. If you're a winner, please email me privately with your snailmail address! Prizes will be shipped in the next week - or whenever we have all the addresses! 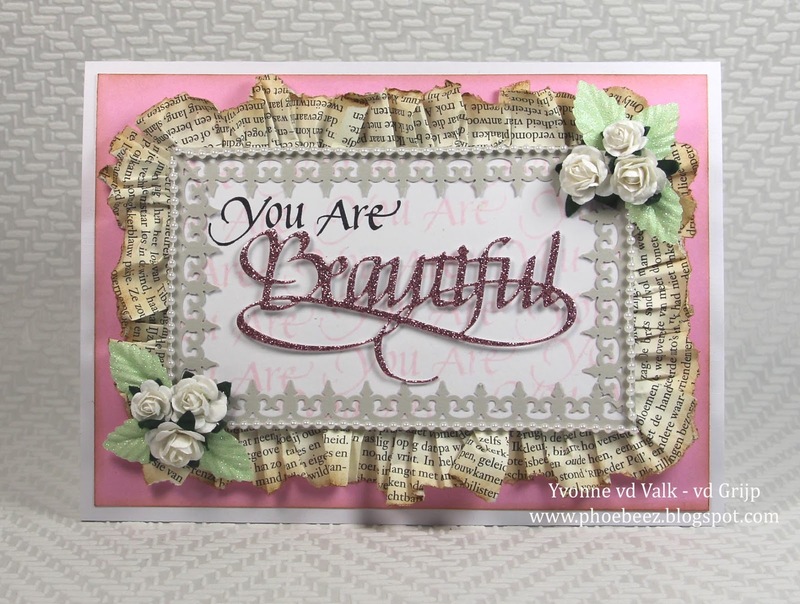 Love that awesome 'You Are' stamp set and the 'Gracias' die! Fabulous set of ATCs with pretty colors and backgrounds! 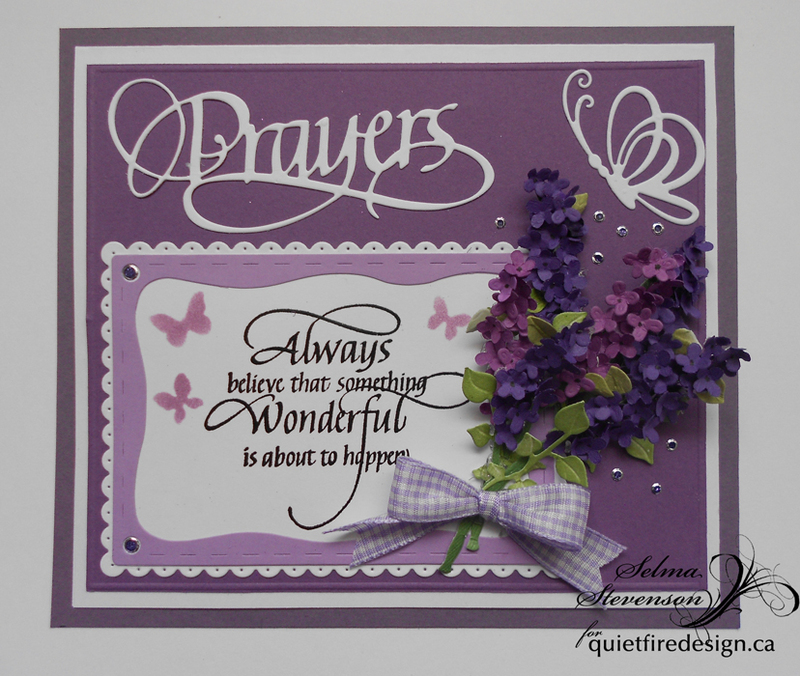 Such a beautiful card Selma! I e been following you for years!! Beautiful layout. The die cuts are perfect. Yvonne, this is lovely! To me it is shabby chic with the aged ruffled newsprint and then the glittered, calligraphied sentiment. Thank you for sharing! Well this card just made me smile on a dreary winter morning. Just lovely with all those colors. Thanks for joining us! See you next time. It's a beautiful Tuesday and I hope that you have lots of fun crafty things planned for this week. 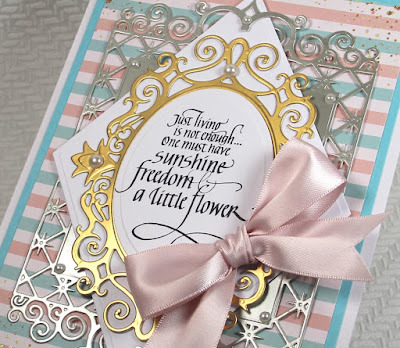 I have a few cards to share with you using our beautiful "Way with Words" dies from Elizabeth Craft and simple papers that you might have in your stash. This is one of my favorite cards that I made with the "Cherish" Way with Words dies and you can use it in so many ways just by itself or adding one of Suzanne's stamps that can go with it. 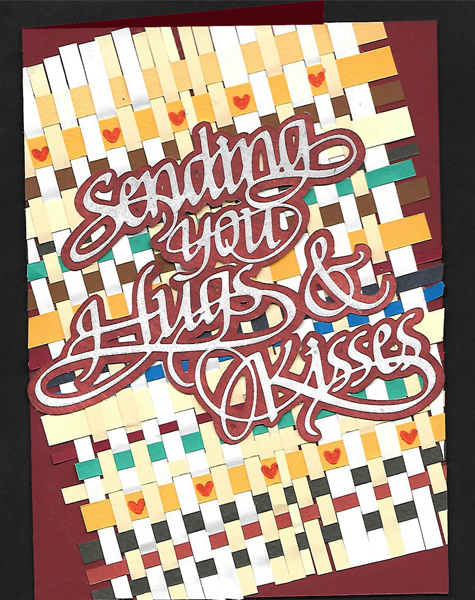 For mine i used a deep rich burgundy paper to cut out my sentiment and also used it for the base of the card. 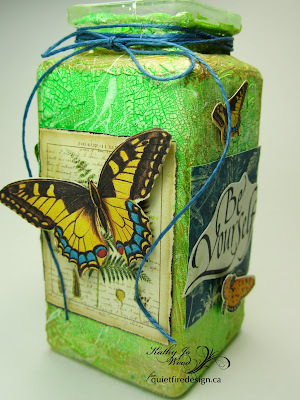 I used pretty papers to match and also another die that i had in my stash to create a base for the die to be on. All i needed was to add a bow and a few rhinestones and it was all done... super easy! 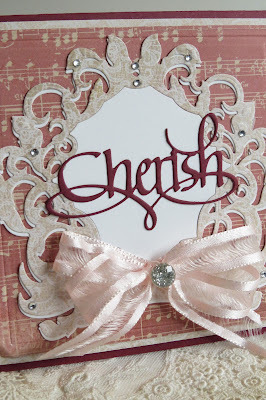 Here's a closeup of the Cherish die so you can see all the gorgeous flourishes it has. 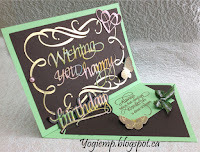 And i also had time to make up a quick card using my favorite colors- aqua, black and white. 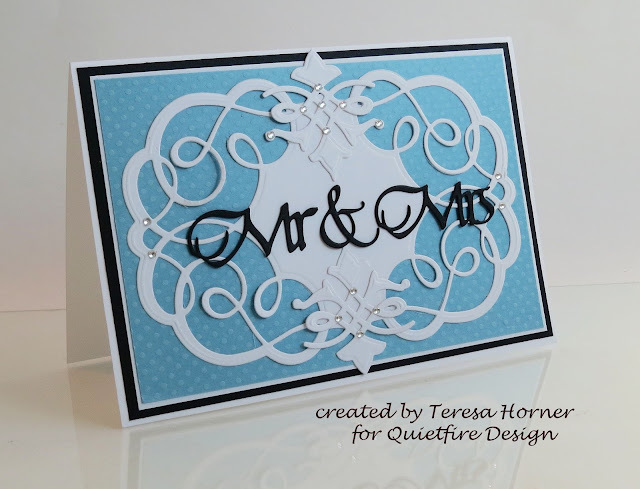 For this card i used the Mr and Mrs die set and a pretty die i had in my stash from "Becca Feeken". I think it's a great match and shows you how nice they fit together. The blue dotted swiss paper gives it a nice contrast with the white and black papers on the top of it. and hope you create something fun and crafty!! Welcome to the 2017 Queen of Hearts Blog Hop! Welcome to Quietfire Design's 2017 Queen of Hearts Blog Hop! Before we get to the good stuff, I'll share my project! I've been wanting to mask one of the diecuts for ages and I've finally got a plan together. I really love the subtlety of this project. Here is how you can make it, too! 1. Form a side-fold card base measuring 6” x 7.25” from dark pink cardstock. Cut a rectangle panel from Specialty Stamping paper measuring 5” x 6.5”. 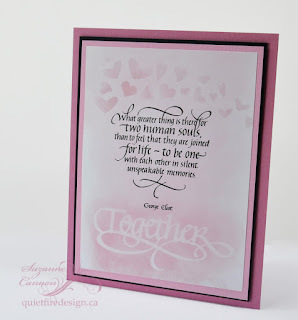 Cut a panel slightly larger in pale pink to create a mat. Cut another panel slightly larger again from black to mat the pale pink panel. 2. Lightly sponge Spun Sugar in all over the white panel. Allow to dry. 3. 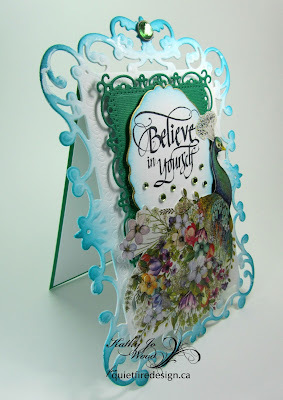 Die cut Together from Stamping Mask Paper. Weed out the counterspaces and peel the release paper from the back. 4. Adhere the mask near the bottom of the white panel as shown. (Designer Tip: If the Distress Ink is not dry, the mask will not stick to the cardstock!) Lightly sponge over and around the mask with Victorian Rose. 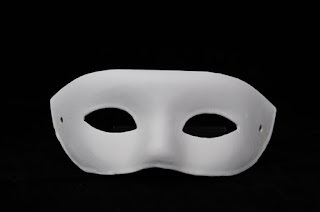 Remove mask. 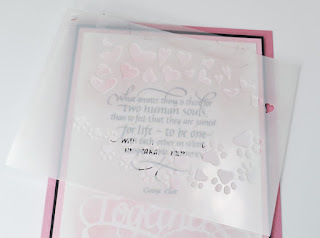 The masking paper uses a removable adhesive so it is easy to peel off. AND it’s reusable! 5. Stamp the sentiment just above Together. Allow to dry. This is no time to smear it! 6. Adhere the stencil in position with removable tape and lightly sponge the hearts with Victorian Rose. The stencil doesn't have to be straight. Position it the way you'd like to see the spray arc over the quotation. I like the hearts to appear as if they are fading out. If you happened to be using a larger piece of white paper, now is the time to trim it! 7. Assemble the main panel with the mats behind as shown. 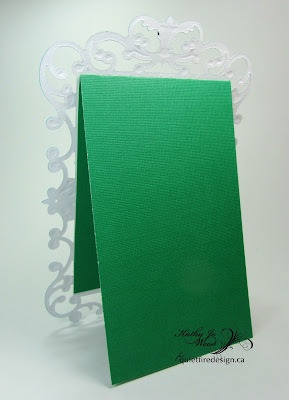 Adhere this to the card base with foam adhesive to give it a bit of dimension. Lovely! What would a celebration be without a giveaway!? 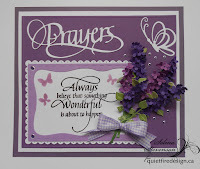 I'm giving away stamps, dies or stencils to random winners on each blog. Make sure you leave a comment below before midnight Sunday February 19, 2017. A winner will be randomly chosen from my list of comments and the winner's name will be posted on Quietfire Creations shortly afterwards. 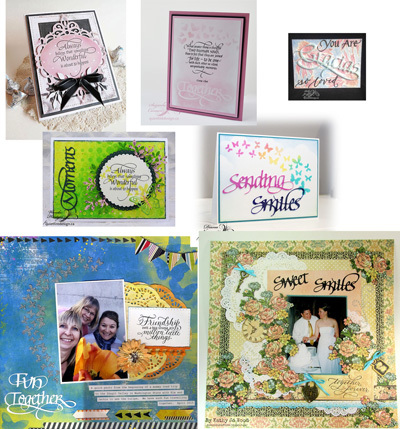 Visit and leave comments on all the designers Queen of Hearts blog posts for chances to win on their blogs! You can go back if you've missed any of them. 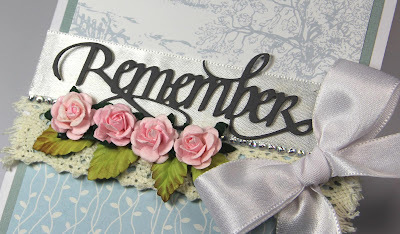 See you over on Wanda's and Connie's blogs tomorrow. My friend Judi Kauffman shared a trio of cards she made with new A Way With Words dies ('Sending' and 'Hugs' from the set that also includes the word 'Kisses'). 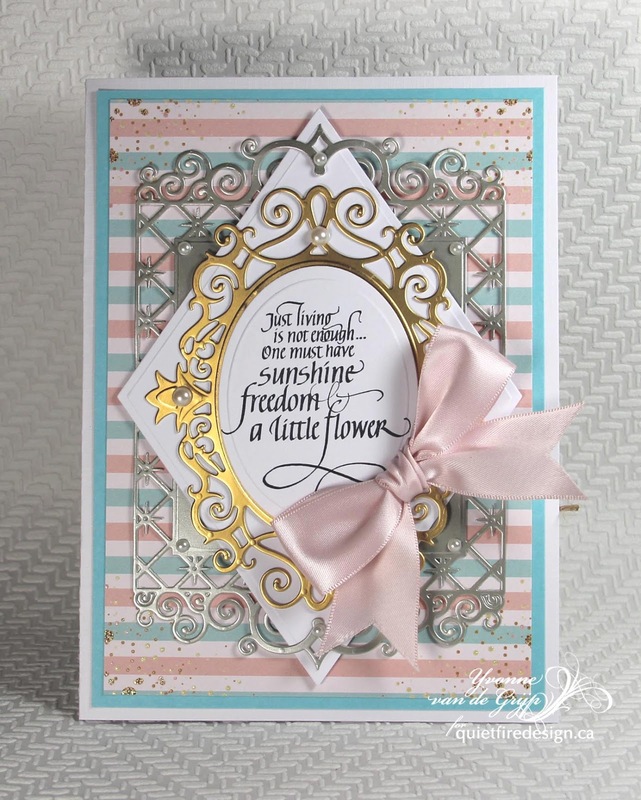 She said that she wanted to use one of her OLDEST tools - a floral border punch that she's had for a decade or so, along with her NEWEST - the dies. Such a nice combo! 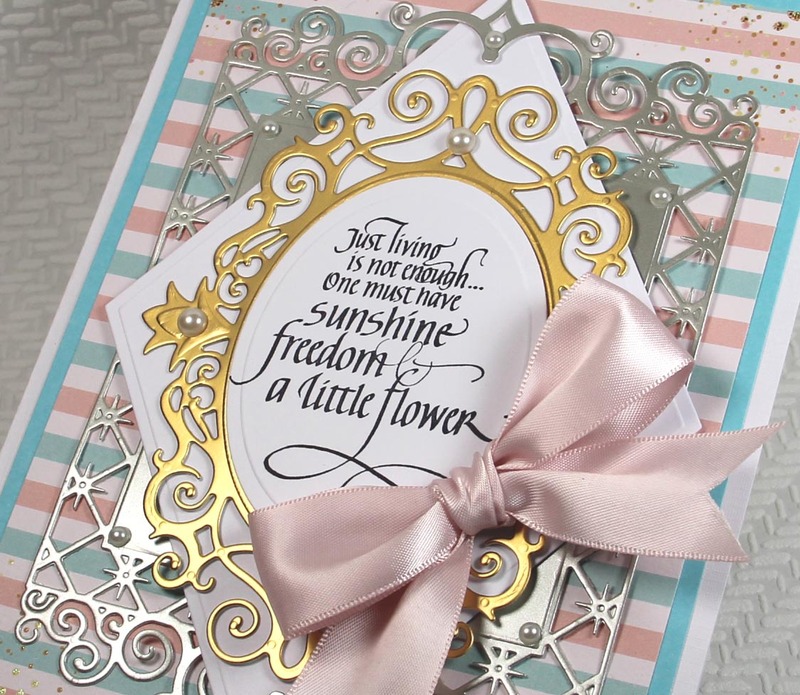 I like how she used the border as a stencil on two of the cards and how she incorporated Washi tape on one, too. Thanks for sending them, Judi. Raided my end cut cardstock stash and created the weave block. Trimmed to size and adhered to front on an angle. Trimmed excess away. Created a shadow layer for my words - one way of doing it is by turning the dies down and tracing around the exterior of the die with an x-acto blade, being careful to not cut where the words link together. 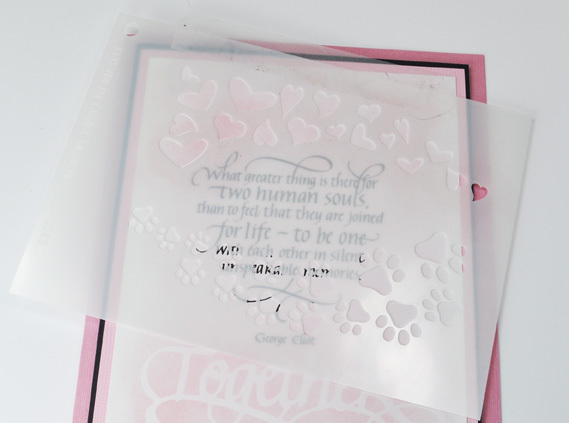 OR create images to cut with your electronic cutter and use the shadow layer function, welding everything together prior cutting. 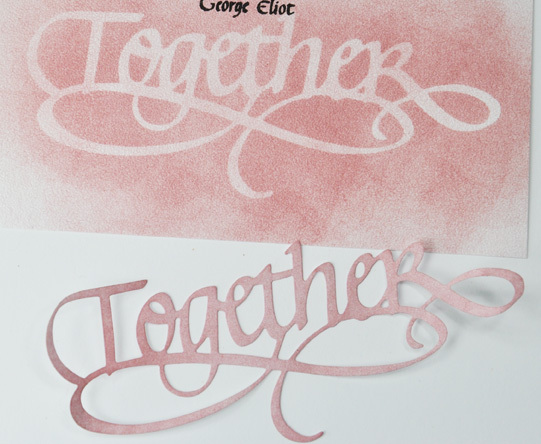 I cut mine from white cardstock and while still on the mat, painted with Distress dabbers "Aged Mahogany". 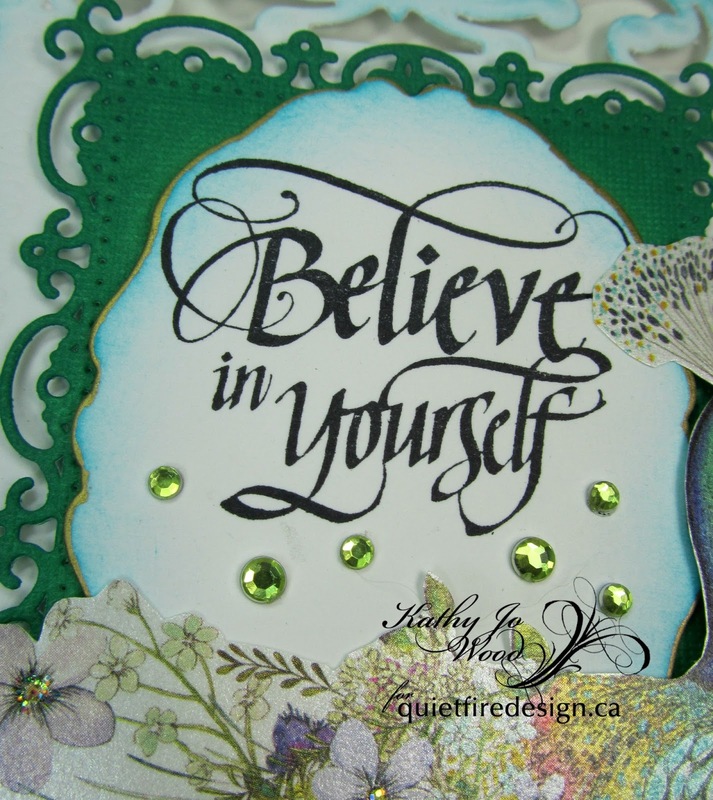 Die cut the words from white cardstock, inked with Versamark and embossed with Emerald Creek "Iridescent Shimmer" embossing powder. Adhered to my shadow layer, then onto my card front. 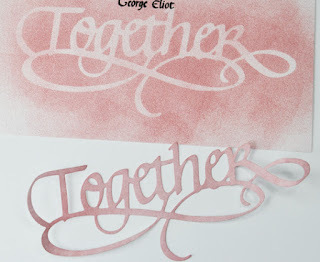 As a final touch stamped the hearts using Versafine "Satin Red". 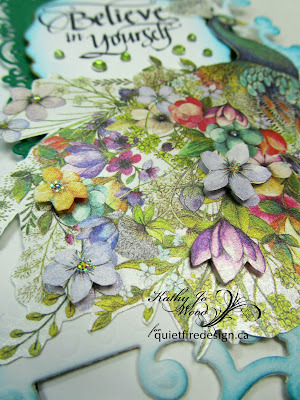 Yvonne here with a card using the gorgeous Quietfire Design stamp "Living is just not enough". 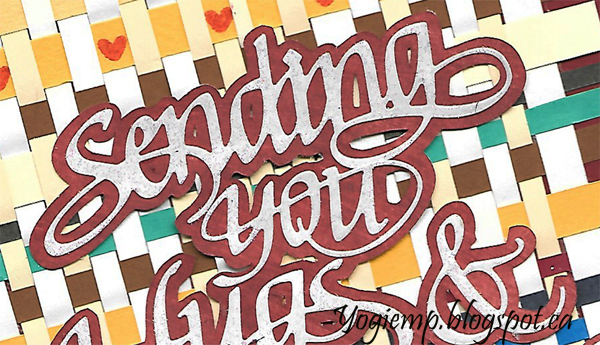 The card is about layering die-cuts. 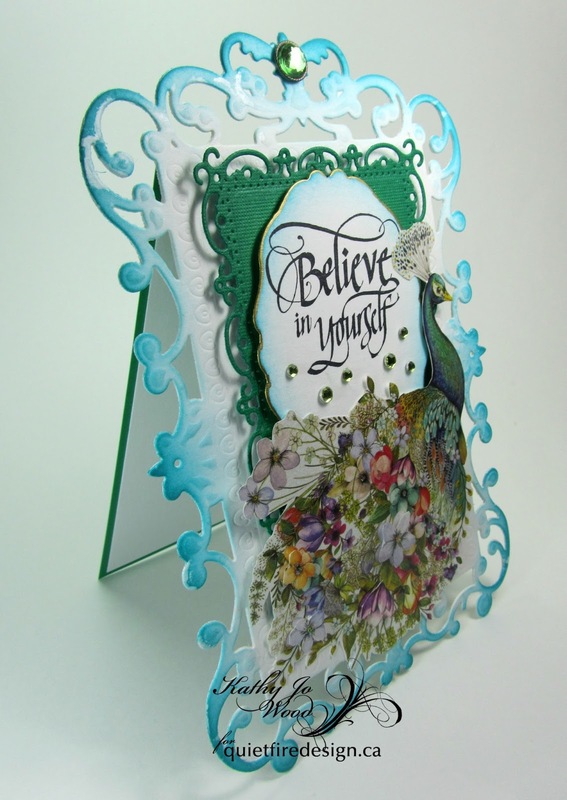 The more intricate the die-cut the less other embellishements you need. 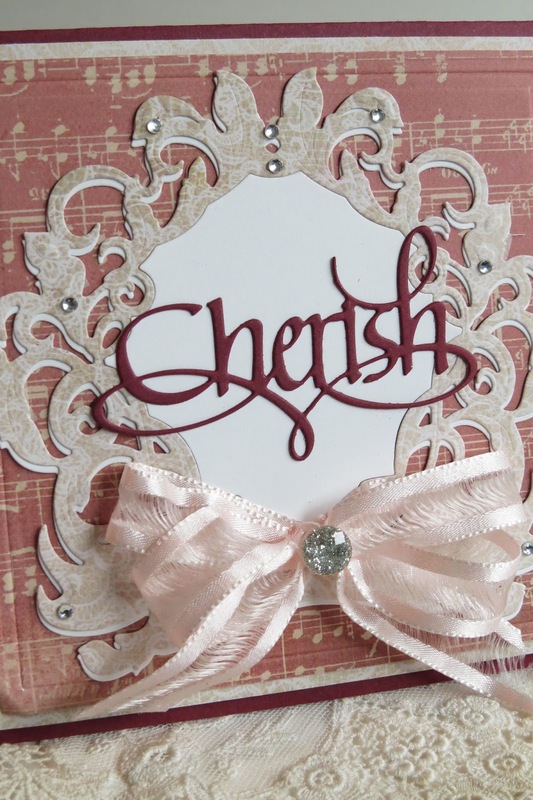 So I only added a satin bow and some self-adhesive pearls to finish the card. Good Morning. This is Selma Stevenson today and I have a fun project for you. You can use the beautiful A Way With Words sentiments for so much more than just cards. 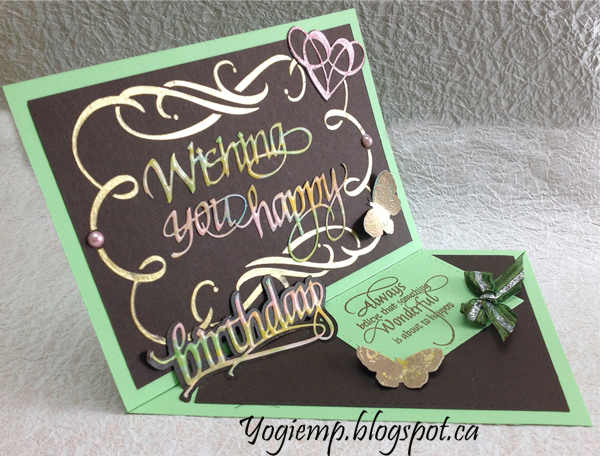 It is nice to prepare early and have cards ready to mail out for special occasions. I created a pretty box, using the beautiful A Way With Words "Special Moments" die cuts on the front, to store the cards in. Here is how I created the box. 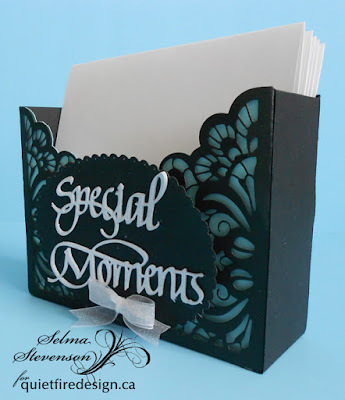 The perfect sentiment for this box is the new A Way With Words - Special Moments die set. 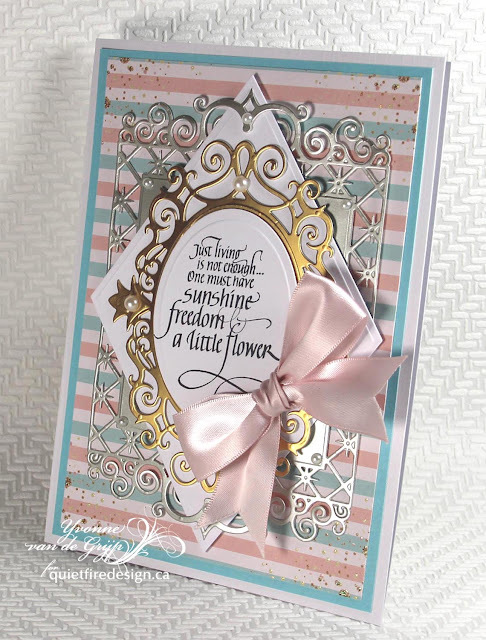 I wanted this sentiment to stand out on the box, so it was die cut 6 times, using white card stock that had Clear Double Sided Adhesive on the back of each one. 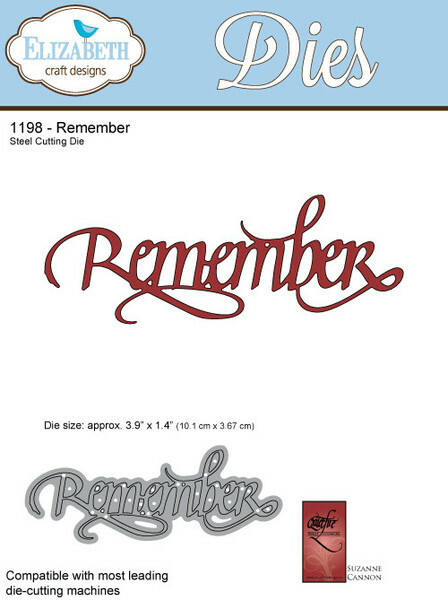 This made it easy to 'stack' all the die cuts for the dimensional look. You can use glue, but sometimes that can be messy. You can create the pretty box by using the Lace Pocket die from Elizabeth Craft Designs, which is the perfect width for 6x6 inch cards or smaller. 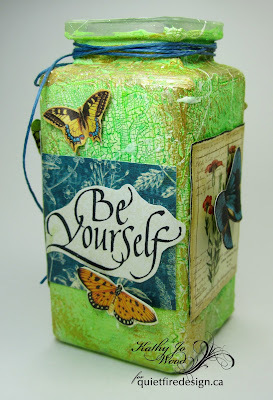 If you prefer, you can decorate any box similar in size. I used a Dotted Scalloped Oval to attach the Special Moments die cuts to, and it was attached with dimensional tape to the box. A small bow was added below the sentiment. If you want to be very organized you can add monthly tabs in the box to organize your cards. 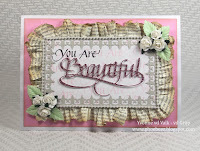 Products from Elizabeth Craft Designs include ModaScrap Lace Pocket and Dotted Scalloped Ovals. were perfect for the project! After cleaning the jar, white gesso was layered. Distress Crackle (in Picket Fence) was applied and air dried. Next Distress Spray (Mowed Lawn) and Dylusions Spray (Cut Grass) were both spritzed on the bottle. Inka Gold (in Gold) was added along various edges. Last, white paint was flicked randomly on the bottle. The bottle was now ready for the papers. The stamps make me smile! 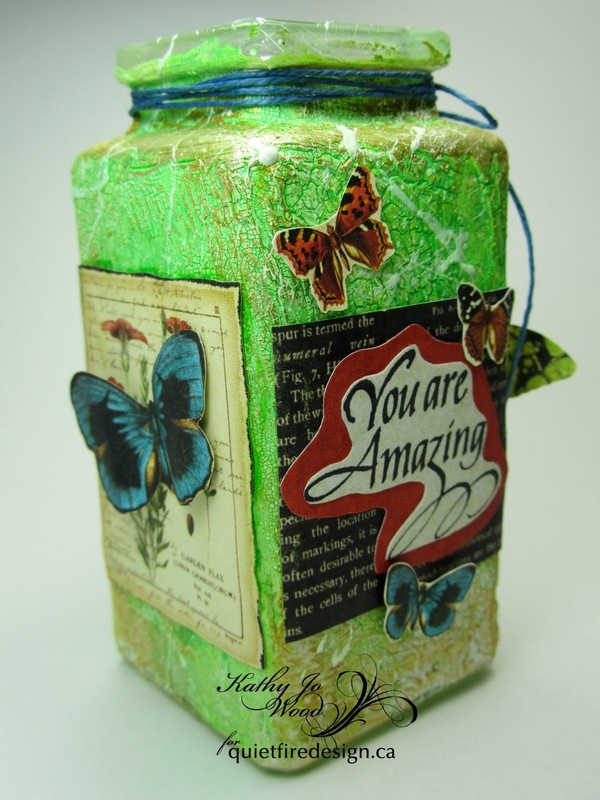 Such a bright and cheerful jar...will be so pretty on my desk. 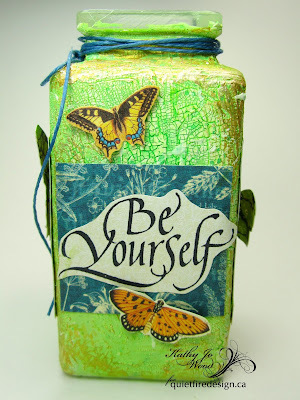 Be Yourself is such a gorgeous stamp!